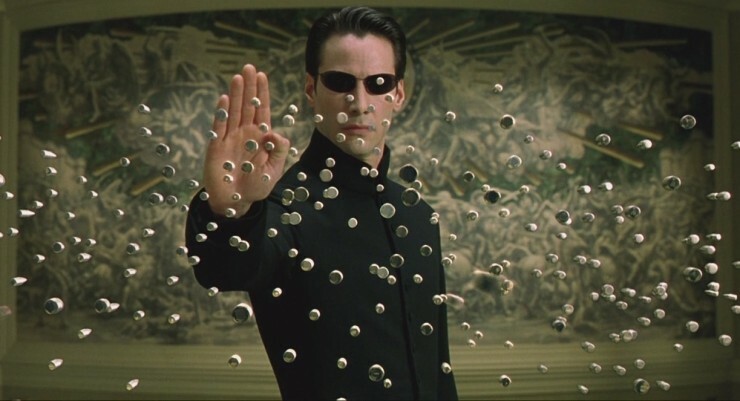 Earlier this week, we had a bit of a bombshell dropped on us when it was revealed that Warner Bros. was looking to revive The Matrix franchise. It’s a decision that’s split fans down the middle, though the popular opinion seems to be that this is a dicey move. It’s going to be tough for the studio to bring back the property in a meaningful way that doesn’t just feel like a cash-in and understandably, people are skeptical. Writer Zak Penn, who’s putting together the treatment, took to Twitter today to clarify a few things, hoping to calm fans down. He noted that the project won’t be a reboot or a remake, but wouldn’t reveal much more than that, leaving us to wonder just what form the new Matrix film will take. Unfortunately, we haven’t gotten a concrete answer to that just yet, but Birth.Movies.Death spoke with their sources and uncovered a few more pieces of info. They note that Warner Bros. is looking to “explore the expanded universe concept” and right now, the idea that they’re hottest on is that of a Morpheus prequel, which is where Michael B. Jordan – who was mentioned in the initial report – would factor in, as he’d play the character. BMD notes that the studio hasn’t settled on this just yet, as there’s a few ideas kicking around at the moment, but this seems to be the most popular one right now. While a prequel would be a safer way to go, we’d be more eager to see some kind of continuation of the story. Not that Morpheus isn’t interesting enough to centre a film around, because he is, but we think it’d be a lot more exciting to see Warner Bros. move forward with the franchise, not backwards. Whichever option they end up choosing, one thing’s for certain, and that’s that it’s going to be tough to please everyone. With a property as iconic and influential as The Matrix, they’re going to have to tread very, very carefully as they push ahead with the revival.